The Field Museum of Natural History – Whether you’re a science buff or just interested in the world around you, you’ll find amazing exhibits and learning experiences in one Chicago’s most prestigious museums. Say hi to Sue, the T-Rex! Lincoln Park Zoo – On a sunny day in Chicago even locals like to stroll around this zoo, which is free and open to the public. Museum of Science and Industry – See the science of storms or a U-505 submarine at this iconic museum in Chicago. Its building was actually built for the Columbian Exposition or the Chicago World’s Fair in 1893! The Magnificent Mile – If you really want the whole Chicago experience, the “Mag Mile” is where everything comes together: shopping, dining, attractions, etc. Odyssey River Cruise – Take a glass-windowed boat out on the Chicago River to admire the beauty of the city’s unique architecture. 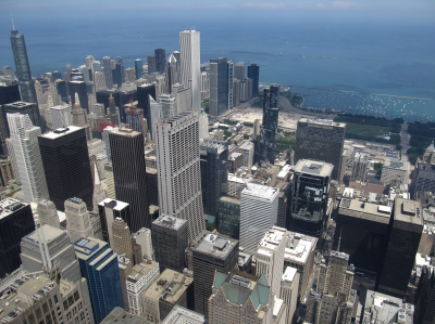 The Willis Tower – Skydeck – Unless you’re acrophobic (fearful of heights), you’ll definitely want to experience what it’s like to live on the edge with the Skydeck on the 103rd floor of the renowned Willis Tower. Museum Campus – The Museum Campus is the gateway to all of Chicago’s important museums as well as Soldier Field and the Lakeside Center of McCormick Place. Chicago’s Original Architecture Tour – In less than two hours, you can see why Chicago is world-renowned for its architecture with this informative tour. Adler Planetarium & Astronomy Museum – If the universe has always fascinated you, then this museum will astound and captivate your mind in every way! 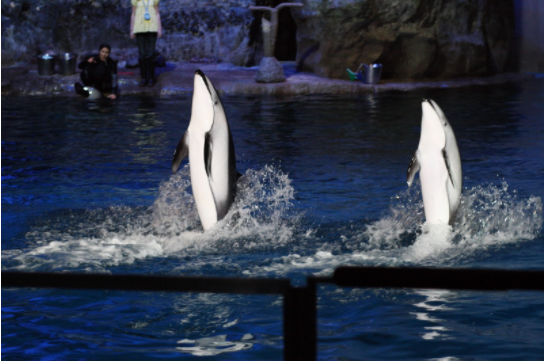 Shedd Aquarium – Want to pet a penguin or a beluga whale? Then, you’ll want to visit the Shedd Aquarium to have these encounters and more! Sightseeing near McCormick Place – If you want to stay around the venue or don’t have much time to travel around the city.